Today is Giving Tuesday — the internationally recognized day of charity — and there are several important organizations you can support to do your part this year. Giving Tuesday is a symbolic kickstart to the holiday season, a time when we are supposed to focus on sharing what we can with others. The United Nations Foundation and the 92nd Street Y, a cultural heritage foundation, created the holiday in 2012 to counteract the commercialism and cutthroat shopping tactics of Black Friday and the weekend following it. By 2013, over 7,000 nonprofit organizations were participating, and in 2014, over 30,000 partners in 68 countries became involved, truly making it a global movement. Last Giving Tuesday, donations processors Blackbaud, Donor Perfect, Global Giving, Network for Good, and Razoo reported over $45 million in donations. Indiegogo reported another $7.5 million raised for over 400 organizations. The sheer number of organizations and causes — community-based, national, and international — can be overwhelming, but don't let the plethora of choices deter you. Donation recipients should be chosen with care and consideration, based on the issues you really care about. This outline of organizations and how to donate to them offers suggestions, and will surely spark some ideas of your own. Following the deadly shooting at a Planned Parenthood in Colorado Springs, showing support for their services is a great way to thank them for the mounting danger their staff and clients have faced in recent months. A dropbox allows you to donate to your local Planned Parenthood specifically, and unlike many organizations which only accept a minimum of $50, they will accept anything over $5. Nepal was hit with an extremely destructive earthquake in April 2015, and although months have passed, the nation can't afford to be forgotten just yet. As winter approaches, thousands of Nepalese find themselves in temporary shelters, and face a higher risk of disease, among other things. Each affected family has received only $145 thus far, and the lack of an effective government reconstruction agency makes the prospect of quick recovery bleak. Visit UNICEF's website to donate. Charity Watch recently ranked each of the large organizations collecting money for Syrian refugees, both in Syria and abroad. Donating to crises that are highly publicized requires more research to guard against fraudulent organizations. Charity Watch gave the American Refugee Committee an A+ based on its efficiency and the percentage of its budget that goes towards refugee services. The Animal Welfare Institute deals with everything from animal rights in research labs to implementing humane slaughter to protecting against the destruction of natural habitats. If you care most about animal rights and environmental preservation, this might be the organization for you. Most importantly, its goals apply to a wide range of issues that don't create polarization between vegetarians and carnivores. If you're a student, you can become a member of the organization by donating as little as $10. 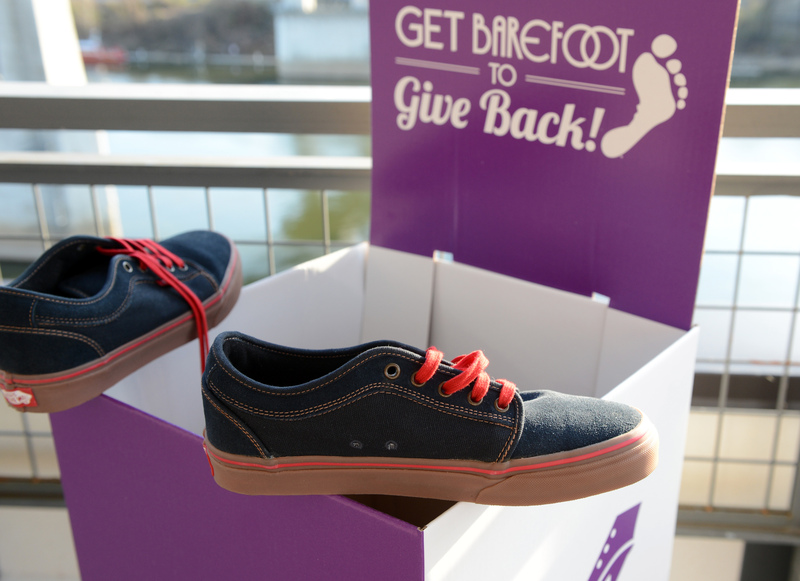 For every $1 donated to Soles4Souls, a person in need will receive a pair of shoes. The global nonprofit organization, which accepts lightly-used shoes and monetary donations, is a perfect choice for those who want to make a difference in someone's life, but cannot afford to give much. The Polaris Project is a nonprofit that seeks to end human trafficking by pushing for anti-trafficking laws and training law enforcement officials to identify trafficking. Other services include establishing a hotline and text line which respond to urgent cases and assisting trafficking survivors as they heal. The approach is multi-faceted, to say the least, and has seen much success over the years. It's important to remember that these are just a few of the many organizations worthy of your donations. It can never hurt to scan the Internet for additional organizations, as long as they have been approved for their services and efficiency.